The Importance of creating a positive reputation online has never been more crucial. Potential customers always turn to Yelp, Google, and other review sites for more information about your company before making a purchasing decision. A recent Cone Research survey indicated that 4 in every 5 consumers choose not to purchase from a company based on the negative reviews they come across online. Consumers are increasingly relying on customer feedback systems for more information before making a purchasing decision. 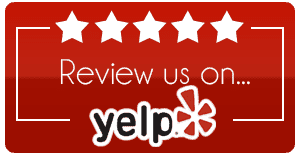 Studies on consumer behavior have even proved that 74% of people looking for home services consult Yelp before they make a buying decision. According to a survey by BrightLocal Consumer Review, 68% of potential customers have more trust in a company with overwhelmingly positive online reviews. The survey also indicated that businesses with 1-star or 2-star reviews do not convert 90% of potential customers. On the other hand, a 1-star rise on Yelp can potentially increase a restaurant’s revenue by 5 to 9%. Google processes more than one trillion search queries every year, making it a critical component in your online reputation management strategy. A study by Edelman Trust Barometer in 2014 showed that 65% of consumers globally trust Google most when looking for information about a company. Google has even incorporated reviews in its Google+ local listings and often displays customer reviews at the top of search results for local businesses. Popular review sites such as TripAdvisor and Yelp also rank high on Google results for search queries on products or services. 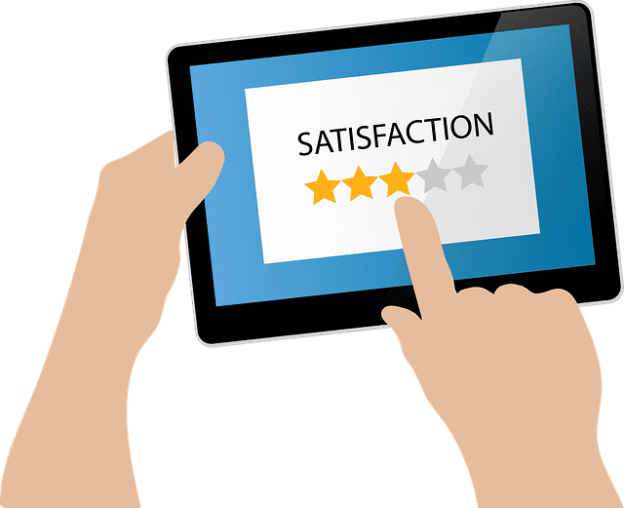 Google’s increasing emphasis on reviews has made it necessary to give serious attention to what is being said about your products or services on review sites. Findings of a study published on Moz showed that a company risks losing 22% of potential customers when prospects come across one negative article published online. With five or more negative articles appearing in top Google search results, your business stands to lose more than 70% of its potential customers. It is, therefore, critical to maintain the first page of your Google search results free from negative reviews. What is even more interesting is the fact that today’s consumers have become better at sorting fake reviews from real ones. They tend to trust recent reviews more than older reviews. This means today’s web-savvy consumer is more likely to catch on fake reviews written by hired reviewers or automated means of creating a positive online reputation. Given the amount of damage a negative review can do to your business, it is important to be proactive in protecting your company’s online reputation. The most important step in online reputation management is knowing what others are saying about your brand or business. You need to keep tabs on all online conversations about your business on a regular basis. If you are not aware of what is being said, you’ll not respond. Failure to respond will adversely affect your online reputation. These tools can help you to monitor and identify negative content about your business and deal with it as soon as it is published. It’s important to respond timely, but make sure your response is appropriate and well thought out. Do the best you can to make your customers happy. Reviews can always be updated, and you can reach out and extend exemplary customer service and win them over again. One of the most effective ways of outranking negative content on search engines is by regularly publishing high-quality content. Your goal should be to secure all the top 10 spots on page 1 of Google for search terms about your brand or business through ORM and SEO efforts. Create a blog where you can directly respond to any serious allegation about your business. The blog should ideally rank high on Google for popular search terms about the business. It is important to have your name or brand appearing on the first page of search results for relevant keywords. To achieve this, you can leverage the power of social media sites such as Facebook, Twitter, and LinkedIn. Social media can be quite helpful in enhancing your online presence, so that old news or negative reviews don’t show up on the first page of search results. If you fail to control your brand’s online presence, negative or derogatory content by other people may rank higher on search engine results and tarnish your reputation. Claim all of your social profiles and do your post to post regularly on them. It is an unwritten rule that companies have to be open and sincere in their engagement strategies. Hiding information that is remotely important can adversely affect your reputation when the truth comes out, as it always does. A proactive reputation management strategy should be based on providing honest and upfront information to customers to avoid potential criticism and conflicts. There are many benefits of being transparent. It fosters better relationships, increases engagement, and provides quick solutions to problems with customers. A case in point is McDonald’s, who had to force their eggs suppliers to improve living conditions of hens after ignoring public criticism for years. However, transparency should be approached with caution. It opens the door to criticism and negative feedback. The best approach would be to monitor this new communication mode closely and respond to feedback publicly and promptly. In as much as it is risky to be transparent, lack of transparency is riskier. It is just natural for customers to share negative experience or complaints more than they express appreciation for a great service. You may consider encouraging them to share positive experience too. A simple request for positive feedback can go a long way in maintaining and improving your online reputation. Positive feedback helps to build credibility for your company. Positive reviews can also boost your ranking in search engine results. Respond to both negative and positive comments promptly to enhance engagement with your customers. A negative comment can spread like wildfire if not addressed promptly in a polite manner. Responding to complaints helps minimize damage to your online reputation. It can take millions of dollars and years to build a great brand, but it only takes a couple of seconds for a negative comment to go viral and ruin everything. The situation is even worse when you are not aware of the harmful comment. You should always strive to be on top of the situation by monitoring what others are saying about you online. Remember that over 25% of a brand’s market value is attributable to its online reputation, according to World Economic Forum 2012. Your brand or business is as good as its online reputation. If you need advice on handling a situation, we at SEO Image can help you. No matter how small, we can offer consulting strategies to recover, build and maintain good customer service relationships with your customers. No matter how small the work may seem, we can offer consulting strategies to recover, build and maintain good customer service relationships with your customers.